It’s a new year, a natural time to look back and reflect on what we’ve done in the previous annum. And so, in that spirit, here at the Serial Distractions Badger Depository and Folk Music Museum, I’ve brought together the top reviews over the past year. 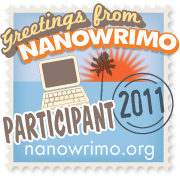 This entry was posted in Reviews and tagged 2012, fantasy, fiction, horror, novel, review, sci-fi, steampunk. Bookmark the permalink.